General Winfield Scott Hancock is often credited with bravely holding the line at Gettysburg and defeating the Rebel onslaught. Hancock known to his army comrades as “the superb”, went on to gain the Democratic nomination for President in 1880, and losing to the race to James Garfield. Early in his career, the young lieutenant of infantry was promoted to Quartermaster Captain in 1855. There were no vacancies in the Quartermaster Department (QMD) in 1855. Hancock, rather, was detached from his spot as a lieutenant in the 6th Infantry, and received an appointment an “acting captain of the QMD. The appointment allowed Hancock to wear the dark blue captain’s shoulder straps and a QMD shako for his full dress uniform. More importantly, while on quartermaster duty Hancock would receive the pay and benefits of a captain, plus a monthly housing stipend as an assistant quartermaster officer. Hancock’s duties required that he perform the quartermaster duties for the 6th Infantry during its expedition to Utah Territory. In the late summer of 1858, the 6th U.S. Infantry received orders to march west to Benicia, California, and Hancock was to assemble civilian employees, wagons, and mules for the march. It was not to be an easy task, but Hancock and Lt. Charles Sawtelle, regimental quartermaster of the 6th Infantry. On the 21st of August, 1858, Brevet Colonel William Hoffman of the 6th U.S. Infantry led a column of 600 soldiers, accompanied by a herd of 822 mules and 137 supply wagons westward out of Fort Bridger, Utah Territory, through the snow covered Carson Valley, to Genoa, a Mormon farm colony tucked in east of the Sierra Mountain Range. After briefly resting the column there, the troops began the climb up and over Carson Pass, south of Lake Tahoe, through knee-deep snow at the summit, and on to the popularly used emigration road to the Sacramento Valley. 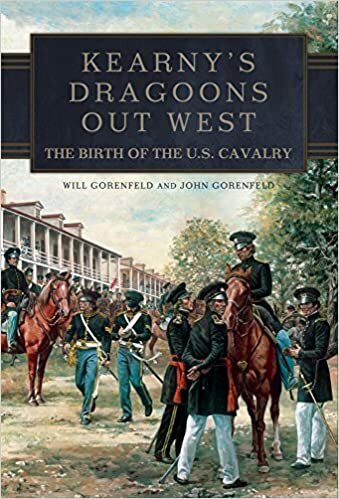 The mules and the wagon train of supplies for the column were under the command of acting Captain Winfield Scott, of the Quartermaster Department. In 1855, Hancock had been detached from his position as a 6th Infantry Lieutenant. The trip across the Sierras was a rugged task. The single road, dotted with stumps (which held the mountainous road semi-intact), was muddy and treacherous. Double-teaming was necessary at numerous places to get the heavy-laden wagons up a hill and then down the westward slope. Although it was fall, winter had already set in and it meant that rain and melting early snow turned the well-travelled road west into a boggy mess. At Pea Vine Ridge, on the South Fork of the American River, a mountain divided by a large meadow, and usually dry in November, the expedition went into camp. For the first time in weeks the mules in Hancock’s huge caravan could graze to their hearts content. But Hancock, however, was not given the time he really needed to rest the men and mules; Lt. Col. Hoffman wanted to push on for Benicia Barracks. The lieutenant colonel quickly came to the realization that he would have to descend the Sierra foothills, pass through the own of Folsom and march 30 wet and muddy miles to Sacramento. Hoffman would have to parade his dreary and thirsty, recently paid infantrymen a major city where saloons abounded. Hancock, meanwhile, was tasked with moving his wagons and mules through the city, across the Sacramento River—away from the temptations of the riverfront—and into camp in what is today known as West Sacramento. Since Hancock’s men would not be paid until they reached the Benicia Arsenal, not one herder was tempted to vanish into the beckoning bright lights of the river city. Hoffman’s infantry companies could not make the same claim. On November 11th, with its flags flying and the band playing “Yankee Doodle” and “The Jordan is a Hard Road to Travel,” the regiment paraded westward on J Street past the new state Capitol. Hoffman had wisely posted provost guard at the rear of his column and these hard nose police details rounded up more than thirty men who attempted to desert. The next day, notwithstanding the muddy plains and poor roads, the troops moved on to Benicia. The post constituted four different elements of the army’s role in the west. The vast post consisted of facilities occupied by different elements of the Army: a company of 3rd Artillery was housed in the barracks. There were the workshops of an ordinance arsenal, quartermaster warehouses, and the offices of General Wool, the commander of the Department of the Pacific. The arsenal stored weapons, ammunition, and property deemed as ordnance such as canteens, belts, sabres, etc. It also employed civilians who fabricated ammunition, wagons, artillery caissons, and other military items. Finally, there was the Quartermaster Department that controlled clothing, uniforms, saddles, tents, and blankets. The quartermaster organized all transportation or supplies and commissary foodstuffs requested by posts on the West Coast. From Benicia, various elements of 6th received orders to take up posts in other stations on the West Coast. In the spring, Hancock received orders to travel to Los Angles to create a quartermaster warehouse. He was given four month’s leave to visit the East so that he might bring his family to California. He sailed on late December of 1858. On May 4, 1859, he arrived in the cattle town of Los Angeles. The captain rented a room for his family at the Bella Union Hotel, facing Main Street, a short distance west of the main plaza. On his first full day in Los Angeles he had met with his superior, Lieutenant Colonel Thomas Swords, a former dragoon and now the senior quartermaster of the Department of California, and his commanding officer, his former colonel in the 6th Infantry, Brevet Brigadier General Newman Clarke. One of Hancock’s first undertakings was to supply Ft. Mojave, 360 miles east. But he had no wagons. Some chroniclers of the 6th Infantry’s trip over the plains and the Sierras, Almira Hancock for one, wrote that Hancock brought intact the wagons from Ft. Bridger. In reality, those wagons arrived as unusable hulks. One of the captain’s first problems upon arriving in Los Angeles was to acquire new wagons. To add to his problems was that the Army had no funds to ship wagons or wagon parts to Los Angeles. He could, and did, hired Phineas Banning of New San Pedro to perform drayage service. Hancock also contracted Banning to store governmental property at his warehouses. Los Angles, although a sprawling town of adobe buildings and 4,000 souls, remained a stagnant backwater. In 1859, it was a town in search of advancement. For businessmen, merchants, cattlemen, and farmers, any source of gold coin was one to be cultivated. It was a close knit community whose merchants who had discovered the advantages of knowing a government officer who could bring and spend hard money in their small village. The town’s businesses had cycles. Most of the time it was stale, only flourishing when wagons loaded with trade goods destined for far away places arrived. Prominent among those tradespersons and businessmen who gathered around Capt. Hancock that foggy morning in Los Angeles was John Temple. He wasn’t alone, but was the most forward of local merchants who came to meet the new quartermaster of the pueblo. Temple was an established wholesaler of merchandise in Los Angeles. At the time he was constructing a three-story brick commercial building. Would Capt. Hancock, perhaps, need a free office therein? He did and would move his “un-official” office into the Temple Building. Hancock’s deal improved his personal finances, for in the meantime he rented a small house on Spring Street from Francis Mellins as his official office for ten dollars a month. The government would authorize him $20.00 per month for office space. What he didn’t tell the government was that into this four-room, so-called “office”, he moved his family. The government, meaning the army, meant the possibility of a new source of revenue, gold coin drawn from the U.S. mint in San Francisco. Temple would have likely introduced Hancock to the town’s other prominent businessmen and merchants who looked upon Hancock as a golden goose, who came to this little burg with hard money to spend. Temple’s little group would have no doubt invited Hancock to the Bella Union Hotel’s well-supplied barroom to test the mettle of this new source of revenue. While it is not know with certainty, the gracious merchant Abel Stearns likely invited Hancock and his wife to attend a dinner at his grand home, El Palacio de Don Abel, located on the corner of Main and Arcadia Streets. Shortly thereafter, Hancock leased stables for his mules and a small warehouse. Along the roads to the forts that were supplied by Hancock he established forage depots. Although Hancock had no soldiers to work at his growing depot, he received federal funds with which to employ dozens of civilians. There were clerks, storekeepers, teamsters, a blacksmith, herders, wheelwrights, and carpenters. As wagons slowly became available, he hired qualified wagon masters and their assistants. All of the while, Hancock’s cost of doing business was steadily rising. Ranchers withdrew their grazing rights and he had to find more expensive forage sites. Men left his employ; he owed them money and he could not pay. What was wrong? The U.S. Congress appropriated monies every two years to finance the Army. On the West Coast the Army was budgeted so much against estimated credit. Against that credit the Army drew gold coins from the Mint in San Francisco to oay its bills to operate. Congress authorize funds to equip, move, and feed the enlisted men, but in the fiscal year beginning in September of 1859 the government ran of funds to operate the Army. In fact, the government considered itself bankrupt and approved no operating funds except for emergency accounts. That Winfield Hancock was an honest man is demonstrated at this time, under the hardships he operated. The fields that quartermasters plowed offered tremendous realms for malfeasance. Hancock, when his records are examined reveals little if any evidence of corruption. True, he padded his office allotment; he gained an extra twenty dollars a month to bolster his family expenses. But when Hancock’s accounts are examined they appear to be correct; no one, civilian or army officer complained about his integrity. To provide an individual for Hancock to be compared with, let us pause momentarily and examine Captain Thomas Jordan, assistant quartermaster at Fort Dalles on the Columbia River. Even before transferring to Oregon Territory, Jordan had used government money to enhance his mining interest. He had a beautiful wife, children and slaves (masquerading as free servants). But, on the Columbia River Jordan discovered a gold mine. Jordan had a district to operate and had army posts to rebuild and supply. He bought off his commanding officer, Colonel George Wright if the 9th Infantry, by building him a fabulous nine room redwood (imported from California) house and named a river steamer after him. Jordan issued pay vouchers to vendors and contractors for his expenses as quartermaster, as did Hancock, but to retrieve those vouchers for payment with gold, when gold coin was available, Jordan demanded and received kickbacks equal to twenty-five percent of the face value. If a contractor did not wish to pay his fee, well then, he could go to San Francisco and cash in the vouchers at the U.S. Mint. Jordan also expected gifts from his contractors such as: a silvery serving set; a piano; etc. And when Jordan’s frauds were discovered, possibly amounting to $250,000, none of his fellow officers wanted to see him punished. On the eve of Civil War, he finally escaped punishment by resigning while facing a court martial in Washington, D.C., and to become Confederate General P. G. T Beauregard’s chief of staff. In contrast to Jordan, Hancock labored away honestly in dusty, dirty Los Angeles with little financial support from the government. Despite complaints from some officers, he performed his job. He built up his wagon column and increased the number of employees, gradually phasing out the drayage services of Alexander and Banning. In mid-1860, Hancock received a letter from the Adjutant General’s Office which call for him to decide. An opening had occurred in the Quartermaster Department. Did Hancock wish to give up his commission as a 1st lieutenant in the 6th Infantry and accept a staff commission as a captain of the Quartermaster Department? Please reply! As the reader will recall, Hancock was an acting captain of the QM Department. If he wished the new commission, he would have to resign his permanent commission in the infantry as a first lieutenant and thus move from being a line officer to becoming a member of army staff. Promotions came slowly in line regiments. 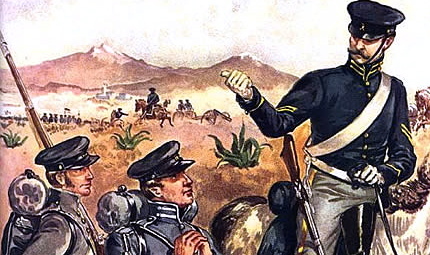 The 6th Infantry, as did other regiments, had a fairly established set of middle aged officers and since the end of the war with Mexico, had seen no serious combat which cause vacancies to occur. If he stayed in the infantry, Hancock could see himself as a junior officer (low ranking) officer for a long, long, time. He let the Army know he would accept the new position and resigned his commission in the infantry. Hancock was now a captain of staff in the Quartermaster’s Department. He still had the many problems in the Los Angeles depot hanging around his neck. Captain Richard Garnett’s move to Fort Yuma got Hancock into major trouble with hard-nosed Brevet Major James Carleton, Company K, 1st Dragoons. In a supply mix up, a crate of 60, red striped artillery trousers, destined for Capt. Garnett’s company of infantry, were accidently shipped to Company K at Ft. Tejon. Carleton, who had ordered 80 sets of mounted trousers, was furious. He immediately wrote to the quartermaster depot at Benicia. Lieutenant Thomas Swords referred him to Capt. Hancock. Hancock replied he could do nothing about the problem unless Carleton paid for transshipping the clothing back to Hancock. He recommended to Carleton that he issue them for work detail. Carleton, as was his won’t, castigated Hancock and Swords as “incompetent morons” who should lose their officers’ commissions. Cranky Thomas Swords was outraged at Carleton’s ungentlemanly language and a spate of correspondence soon developed. Hancock was unfortunate to again upset Brevet Major Carleton over the latter’s impossible demands for forage and clothing. When the major escorted the paymaster to Utah in 1859, he expected on his return trip that there would be government forage available at San Bernardino. Unfortunately, he did not inform Hancock of his plans and while Carleton was away, Hancock auctioned the surplus hay at a public sale and discharged the dispersing agent. When Carleton returned, there was no provender for his horses. Lieutenant Colonel Benjamin Beall, the commanding officer at Ft. Tejon, let it be known to headquarters that he did not want Hancock involved supply the post. Officers at Tejon, thereafter, routinely by-passed dealing with Hancock and sent their requisitions to Benicia. Thus, when Carleton ordered the new dress hats (the Hardees) for his company, the quartermaster sent but ten hats with the excuse that the hats, newly authorized in January of 1858, were experimental and no company would receive an item declared experimental. The same thing happened when Carleton requisitioned the new fatigue blouse—only 40 were delivered. Each time, a thoroughly frustrated Carleton included Hancock in his wrathful missives to the quartermaster department in Benicia. Suffice it to say, it did not happen. There was no organ in the Hancock home. Nor were any the three attendees were in Los Angeles at the same time. Armistead, the purported party’s guest of honor, was in San Diego tendering his resignation. He had fouled up his first attempt and would not leave San Diego until June 18. [ii] Garnett had already resigned and was on a steamer heading for the East Coast. [iii] Pickett never visited Hancock in Los Angeles. And as for Johnston, he was nearby, but busily getting his gear together to travel to Texas on the next day. Unlike the other resigned officers, there is no indication that Johnston knew Hancock. When news of the Civil War reached California in April of 1861, Hancock volunteered to go east. There was no immediate reply. It was not August that orders arrived directing him to sail from San Francisco to the seat of war. [i] George Cullum, Register of Officers, vol. II:201. [ii] General Edwin Sumner, General Orders No. 6, May 5, 1861. Official Records of the War of Rebellion, serial 1, volume 50, p. 486; Post Returns, San Diego Barracks, June 1861. [iii] George Cullum, Register of Officers, vol. II: 94; Stewart Sifakis, Who was who in the Civil War, 238.